Back in the 70s and 80s, American Motor Company manufactured several pickup varieties that bore the Jeep name – and these all followed the very first 1963 Jeep Gladiator which was manufactured by then-owner Willys Motors. For the entire run from 1971 to 1988, Jeep produced the “Jeep Pickup” or J-Series intended to grab a specific part of the car market by appealing to people who were used to buying more comfortable and “less rugged” vehicles. Jeep later discontinued the pickup for close to 30 years, but in 2018 they announced the revival of both the Gladiator name and the melding of their wildly-popular Jeep Wrangler with the long-demanded utility of a pickup – but beyond just adding a bed to a Wrangler body, they tuned it up and made it one of the best mid-size pickups you can buy. This is one of, if not the only, pickup with foldable windshield, removable top, doors, and open-air back. That gives it a great classic Jeep feel, but you have a full bed at the rear. Boasting more than 30-inches of additional frame compared to its Wrangler brother, the Gladiator actually comes out longer than Chevy’s Colorado – and it’s about 500lbs heavier, too. Truly, Jeep has pulled off a massive feat and captured multiple titles of “best-in-class” for its trailer tow rating, payload rating, and obviously its off-road capabilities. 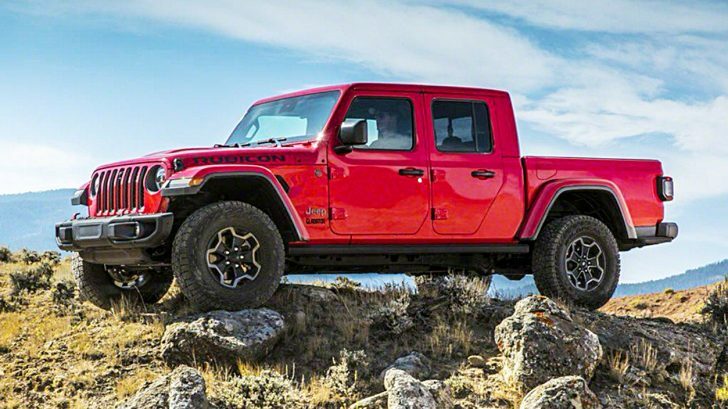 Starting at right around $35,000, the 2020 Jeep Gladiator is the truck you won’t want to miss – or at least take a good, hard look at before you purchase a new pickup! Look at the full review below and let us know if you’d trade in your current pickup for one of these!